A Maersk product tanker has become the third commercially operating vessel to be equipped with Norsepower Rotor Sail auxiliary wind propulsion technology. 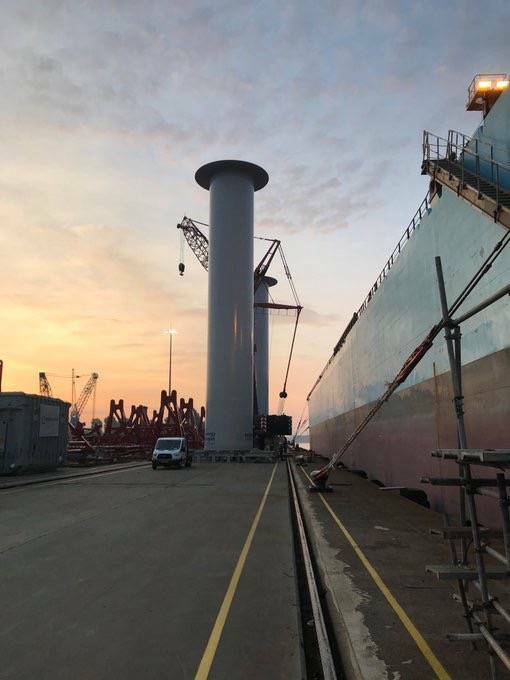 Two Rotor Sails have been installed on board the 109,647- DWT Long Range 2 (LR2) product tanker Maersk Pelican in the Port of Rotterdam, announced project partners Norsepower Oy Ltd., Maersk Tankers, Energy Technologies Institute (ETI) and Shell Shipping & Maritime. The ship is expected to commence its first voyage with its new sails shortly. 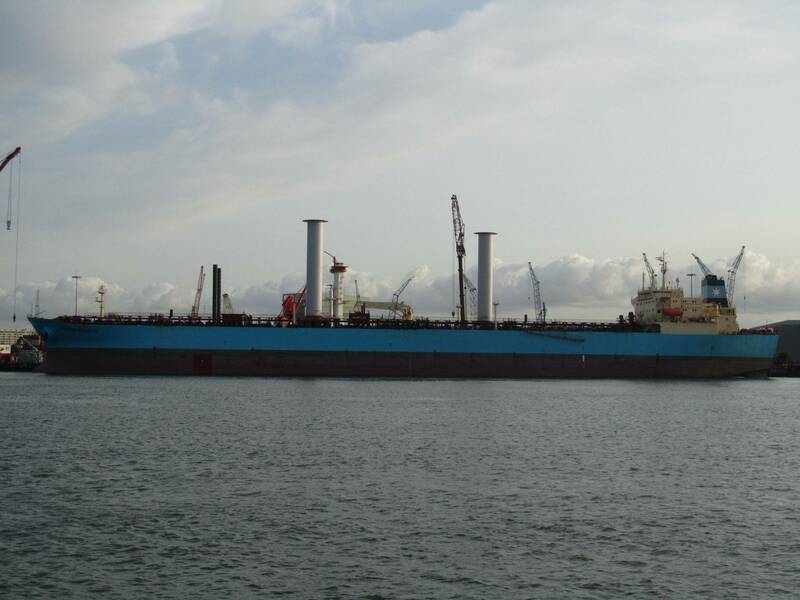 At 30 meters tall by five meters, the Rotor Sails aboard Maersk Pelican are the largest in the world. The cylindrical mechanical sails spin to create a pressure differential – called the Magnus effect – that propels the vessel forward. The Rotor Sails will provide auxiliary wind propulsion, optimizing fuel efficiency by reducing fuel consumption and associated emissions by an expected 7-10 percent on typical global shipping routes, Norsepower said. When wind conditions are favorable the main engines can be throttled back, saving fuel and reducing emissions, while maintaining speed and voyage time. 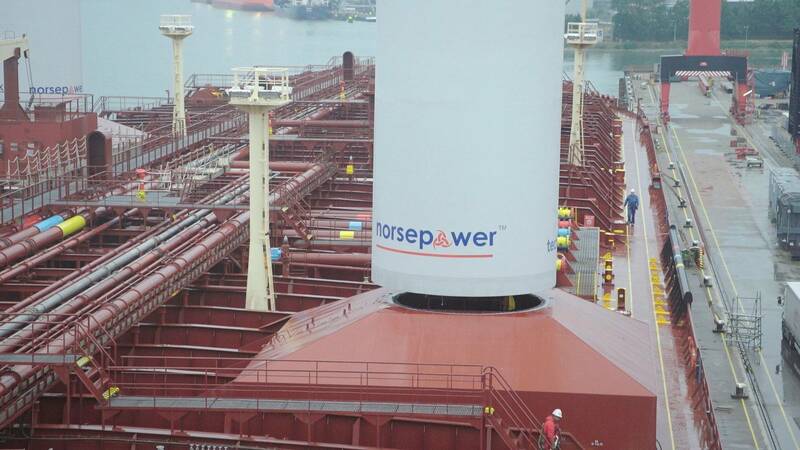 Each Norsepower Rotor Sail is made using lightweight composite sandwich materials, which ensure the Rotor Sail remains well-balanced and offers a hi-tech, low maintenance solution. Riski noted, “With this installation on the Maersk Pelican, there are now three vessels in daily commercial operation using Norsepower’s Rotor Sails.” Other vessels currently operating with Rotor Sails installed include Estraden, a Bore vessel offering a Ro-Ro and General Cargo service between the U.K. and the Belgium, and Viking Grace, a Viking Line cruise-ferry travelling between Finland and Sweden. 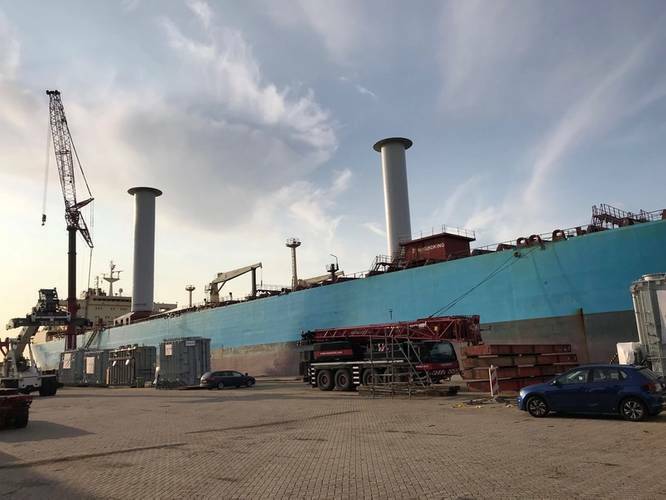 “Each of these cases represents a very different vessel type and operational profile, demonstrating the widespread opportunity to harness the wind through Flettner rotors across the maritime industry,” Riski said. 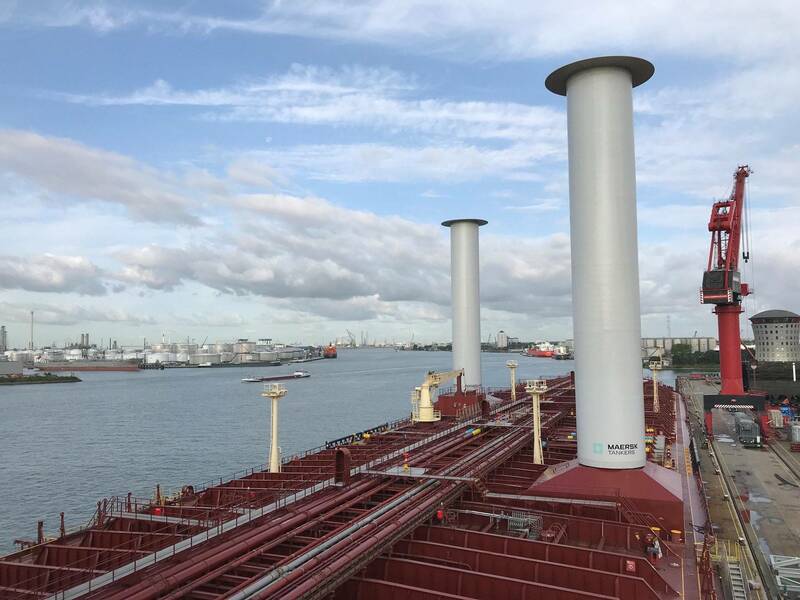 Maersk Pelican’s Rotor Sails, which have already undergone rigorous land trials, including thorough testing of various mechanical and performance criteria, are the first Rotor Sails to be Class approved for use on a product tanker vessel. An extensive measurement and evaluation program will aim to test the long-term financial and technical viability of the technology. Independent experts from Lloyd’s Register’s (LR’s) Ship Performance team will acquire and analyze the performance data during the test phase to ensure an impartial assessment before technical and operational insights as well as performance studies are published.